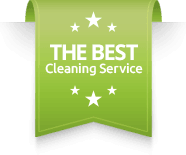 In Wilmette, Illinois 60091, we know that you are looking for the best cleaning service offered and that is why we recommend you call Kulas Maids Inc. It is not uncommon for many Wilmette clients to refer us to their neighbors, because we have a recognized reputation of delivering outstanding results and meeting our customer needs. Kulas Maids, your local cleaning service, prides itself with premier residential and commercial cleaning services for over 35 years! Kulas maids wants you to enter your home without thinking about the fact that it’s too dirty or that you have to clean. We will do the work for you and can assure you that you will not be disappointed. It is not a coincidence that Wilmette, Illinois residents choose Kulas Maids as their house cleaning service. We are a fully insured and bonded business and our professional maids offer you the best maid service in Wilmette! Our maids use Green Cleaning products because your health is as important to us as it is to you. However, keep in mind that we always put our customers first and if you prefer the use of different cleaning products, we will happily use whatever you provide.